Synopsis: Many churches and ministry organizations have taken the last five decades off. Working together, we can get them moving again. In a world where agility, motion, and communication are key, churches and ministry organizations find themselves aching to achieve something meaningful but are mired in the past-trapped in the way things used to be a bias toward action offers dynamic leaders a new perspective into cultural re-creation that can move these helping organizations out of the paralysis our pews have engendered and into the light of active, gracious, life-sustaining activity let a bias toward action. inspire you boldly.Approach your own call to action. reach out effectively to bring god's kingdom to earth as it is in heaven in your newly re-created ministry setting where everything is fresh and every avenue is a possibility. "on earth as it is in heaven" seven words Jesus spoke to put gospel. 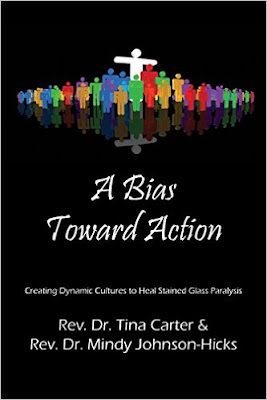 A bias toward action teaches gracious means which put feet to " On Earth as it is in heaven" we spent this entire book imaging you and praying for you. We pray for those of you who find action effortless, We pictured you reading the words of these pages saying " of course, that is so obvious.. if only everyone would read this book. " We also pictured those who would put down this book several times. We imagining those of you who would find this book heartless. Not suited for real ministry work which embodies the gentleness and persistent tenacious love we see in Gospels, though. Appear in context between the ministries of the Hebrew bible and those organizations arising from the apostolic efforts. to consider the incarnation of jesus as the only face of god is to cut out a significant portion of god's literary self-identification in sacred texts. As Wesley often said. The whole tenor of scripture needs consideration to arrive at truth. We imagine and pray for you, and live in hope that you find a bias toward action. As the Hebrews did, as the apostles did, as the ancient and future faith-holders have done. Tina - My husband says l have a bias toward action and l think he's right. My idea of a life well lived includes actions that result in god getting praise. A life well lived includes intentionality and A willingness to risk. I have lived my life trying to dance with god rather than waiting to make sure l know every step before l enter the dance floor. My idea of a christian life well lived usually plays out more like a comedy improv than a perfectly scripted drama. This book is written in response to so many people who have heard about ministries that have been started and continue. rev Dr Mindy Johnson-hicks, a congregational Wesley an pastor, lives happily in Austin with her wife Amy, for 16 years, she served churches as mentor, pastor, and crisis communications director she authored two books and three church operations manuals and has designed leadership protocols for many church systems. rev Dr Tina Carter and rev Dr Mindy Johnson-hicks co-authored last year's wildly successful book, the wealth of poverty.